If you are facing felony Ohio vandalism charges, you will have to pay significant fines and spend a lengthy prison term if you are convicted. The state of Ohio treats vandalism, something most people do for a laugh, as a serious crime with real consequences. Contact Attorney Adam Burke at (614) 280-9122 for your free consultation and to discuss your options. Knowingly breaks into and causes harm to a place of burial, like a tomb or a crypt. Vandalism is always charged as a felony. If the value of the property vandalized is less than $7,500, it is a felony of the 5th degree, the least serious felony charge possible. If the value of the property damaged is between $7,500 and $150,000, it’s a felony of the 4th degree. If the value of the property damaged is more than (>) $150,000, it’s a felony of the 3rd degree. For a felony of the 5th degree, you will have to spend 6-8 months in prison, and be fined up to $2,500. For a 4th degree felony, prison time is 6-18 months and fines of up to $5,000. For a 3rd degree felony, the prison sentence is 1- 5 years, with fines of up to $10,000. In addition, the offender will have to pay a $2,500 fine, in addition to the usual penalties. If you have been charged with vandalism, it is recommended that you get a good lawyer to help you fight your case. Attorney Adam Burke is an experienced attorney who will help you come up with the best possible defense. 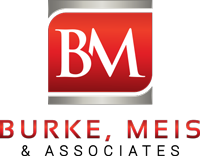 Contact Burke, Meis & Associates now at (614) 280-9122 for you free consultation.